Among the top designated hubs of SIBIU community. 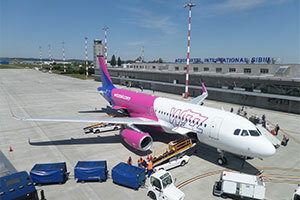 Increasing demand for worldwide connections from SIBIU International Airport to Europe, North America/Canada/Asia or the Caribbeans. 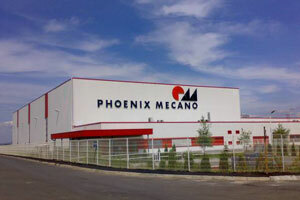 According to The Romanian National Institute of Statistics (2014), Netherlands is the 3rd largest foreign investor in the region after Germany and Austria. Consistent ethnic traffic (large number of Romanian residents). Great potential for both inbound/outbound tourism, considerable ethnic traffic, strong economic ties between SIBIU’s region and Northern Germany. Berlin is among top 10 most flown indirect destinations from SIBIU according to ASM 2014 data. Great potential for both inbound/outbound tourism and ethnic traffic. Brussels is among top 10 most flown indirect destinations from SIBIU according to ASM 2014 data. Among the top designated hubs of SIBIU community. 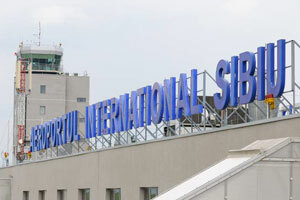 Increasing demand for worldwide connections from SIBIU International Airport to North America/Canada/Asia or the Caribbeans. Frankfurt is the most flown indirect destination from SIBIU, according to ASM 2014 data, with a great high-yield potential due to the strong economic ties between SIBIU’s region and Germany and considerable ethnic and business traffic. Great potential for both inbound/outbound tourism, considerable ethnic traffic, strong economic ties between SIBIU’s region and Northern Germany. Hamburg is among top 5 most flown indirect destinations from SIBIU according to ASM 2014 data. Among the top designated hubs of SIBIU community. 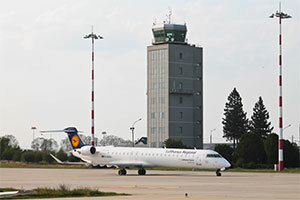 Increasing demand for worldwide connections from SIBIU International Airport to Europe, North America/Canada/Asia or connections to Antalya (#1 destination in SIBIU’s community preference in terms of tourism). As of 20 August 2016. 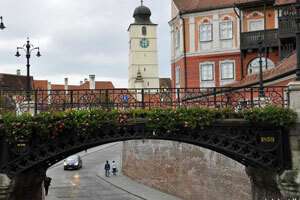 #1 destination in Sibiu community’s preferences in terms of tourism/city-break and university exchanges; number of Romanian residents in the region: 200,000. Great potential for both inbound/outbound tourism, considerable ethnic traffic with a high-yield potential. Venice is among top 10 most flown indirect destinations from SIBIU according to ASM 2014 data. 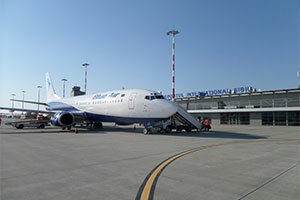 Romania’s seventh largest international gateway, Sibiu Airport, handled around 200,000 passengers in 2013, representing an 8.3% increase over 2012 figures. 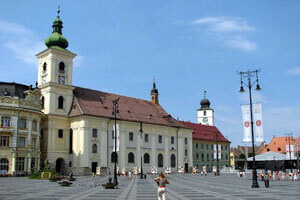 The airport serves the city of Sibiu, having an estimated population of almost 150,000 people and being located in the centre of Transylvania. 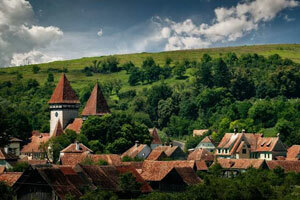 Several natural and touristic treasures are located in Sibiu County. 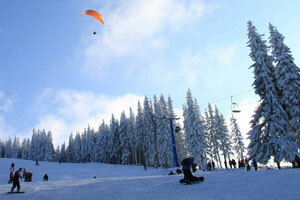 Paltinis is the highest (1,440 metres) and the oldest resort in Romania, being an excellent destination for both winter sports and corporate retreats. Furthermore, famous for its high concentration of saltwater lakes, Ocna Sibiului resort (also known as “The seaside of Ardeal”) is located 15 kilometres away from Sibiu. 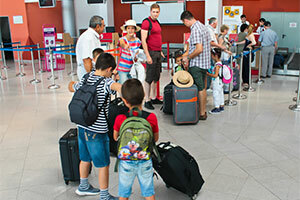 Sibiu Airport’s average load factor is 84%. SVID Analysis (Seasonal Variation in Demand) shows a constant traffic all year-round, with a slight decrease during winter. The SVID result for 2017 is 3,9 (on a 0-100 scale), which positions our airport as “good”! 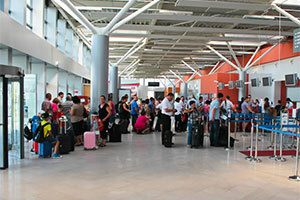 Passenger yield is €0.08 (revenue/pax/km), €0.07 higher than its competitors. Average paid fare is €142 /round trip, €23 higher than its competition. GDP is 8% higher than the national average, along with a regional GDP growth of +6.7%. The average wage in the region is 1.1% higher than the national level, while the working active force reached 43%, in 2016. 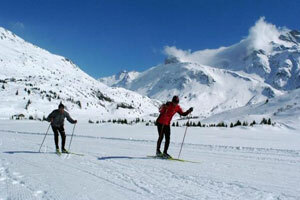 The seasonal variation in touristic demand is extremely lower compared to other regions in Romania – tourism activities suitable for every season (cultural tourism, winter and summer sports). Attracting a large number of upscale tourists, the average daily spend/tourist in the region is 210 euros with an average of 5 lodging nights (Lucian Blaga University of SIBIU Study 2013). Host to numerous international cultural events, Sibiu is recognised for its International Theater Festival (the third festival of its kind in the world, attracting 600.000 spectators over 350 events during the festival), home of Brukental National Museum (the third in Europe after the British Museum and Louvre, receiving 800.000 visitors per year and recognised as the first public museum that was awarded the prize for national branding). Favorable location: Sibiu is located in central Romania (south-east Europe) in the core of Transylvania, with a population of around 430,000. 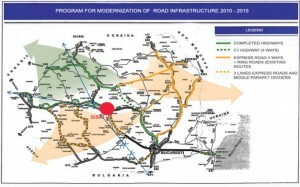 Major infrastructure gateway: Due to its advantageous position, the city is connected directly to the European railway and highway infrastructure (EV, NV) – E81, E68 Timisoara–Arad–Brasov–Bucharest–Constanta. Internationally appraised city: The first choice for a city-break in the country, Sibiu (also known as Hermannstadt) is the only city in Romania to receive three Michelin stars as part of the 2011 edition of the Green Guide, featuring the city as a location to be visited, both in the “Ideas for the weekend” and “an essential tour of Romania” (a journey of 17 days in Romania). 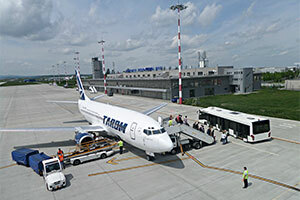 Modern airport: Sibiu Airport is one of the most modern, newly equipped gateways in Romania, with a new terminal, runway, taxiways and aprons opened in June 2008. Tourism trends — In 2016 where registered over 800,000 tourists. 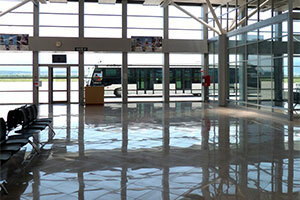 The airport is located three kilometres away from Sibiu, one of the most significant cultural centres of Romania. 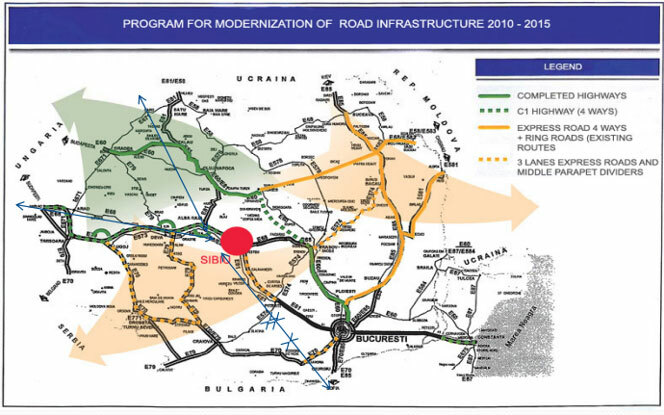 Besides Sibiu, the international gateway also serves an array of other counties, namely Mures, Valcea, Brasov and Hunedoara, featuring a two-hour catchment area of over three million dwellers. 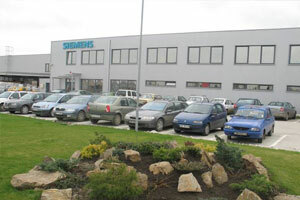 Sibiu is located in close proximity to major industrial parks. 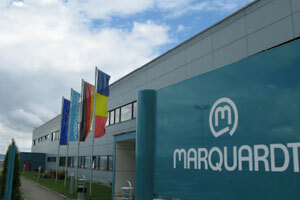 Therefore, a large number of major international companies (Siemens, Marquardt, Phoenix Mecano Plastic etc) generate freight and air travel-related opportunities. 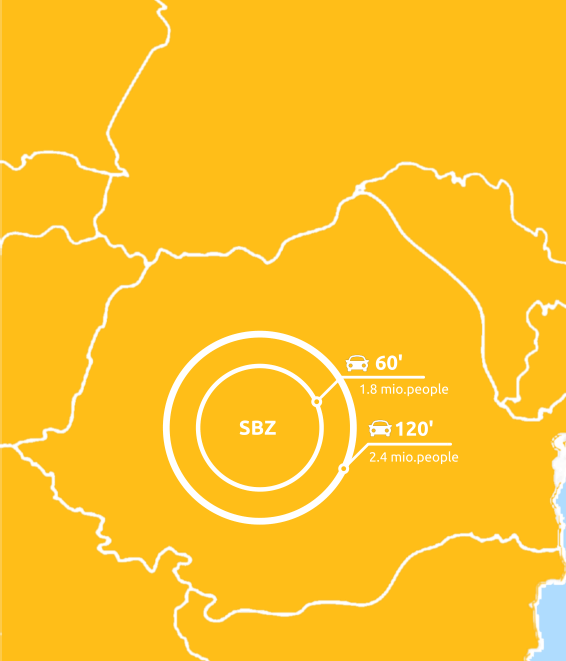 Presence of other industrial areas: Blaj (75 kilometres from Sibiu — Bosch), Sebeş (Star Transmission), large agricultural areas with livestock cargo potential (cattle, sheep). Sibiu’s single runway of 2,630 metres is capable of handling all popular short and medium-sized aircraft. The terminal, which was opened in 2008, features the latest technology, providing passengers with a seamless and memorable experience. 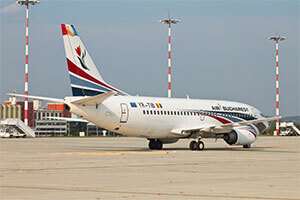 Additional summer seasonal charter flights to Antalya with Air Bucharest. Copenhagen served by Wizz Air with three weekly flights starting 22nd of June, 2018. Brussels Charleroi served by Wizz Air with three weekly flights starting 21st of June, 2018. Paris Beauvais served by Wizz Air with three weekly flights starting 22nd of June, 2018. Basel served by Wizz Air with two weekly flights starting 21st of June, 2018. Frankfurt Hahn served by Wizz Air with two weekly flights starting 22nd of June, 2018. 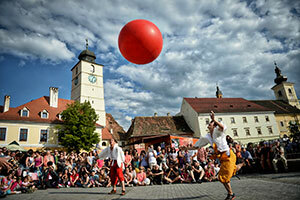 Sibiu is still living up to its title of European Capital of Culture awarded in 2007 along with Luxembourg, status that granted the city a well-deserved international fame, due to numerous arts & culture high quality events. Transylvanian International Film Festival, the world-renowned jazz festival, performances & exhibitions, photography, music and dance shows, century-old customs and traditions, haute cuisine, culinary arts of fine food like Transylvanian Brunch, fairs of handcrafted artifacts, but also legendary competitions like RedBull Romaniacs, Sibiu Cycling Tour or Sibiu Rally.